The second biggest risk for a startup, after lack of cash, is bad relationships between partners. The Partech Shaker hosted Jean-Marc Phelippeau, who has been coaching directors for the past ten years. He gave the audience precious tips on how to support and grow a team of partners during a startup’s crucial first year. 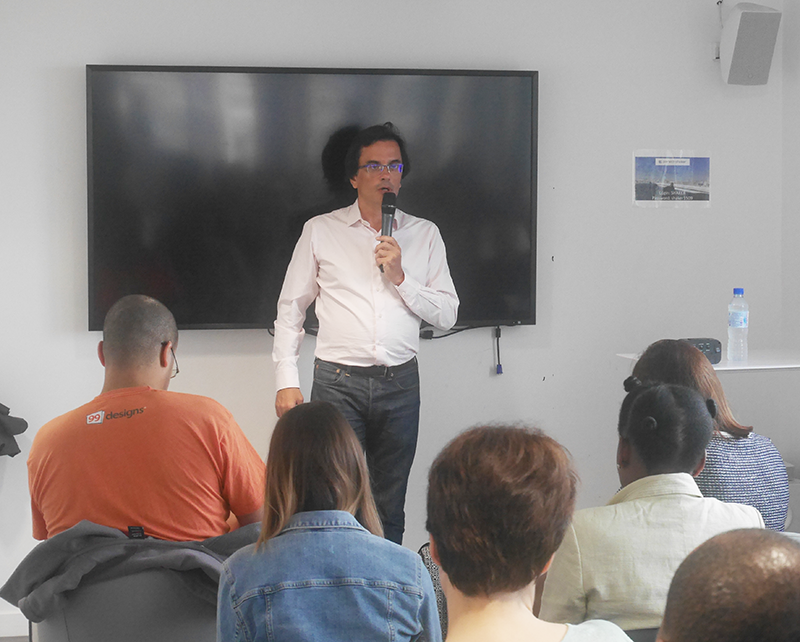 Jean-Marc decided to start working with startup founding partners because they need to respond to three rationales: operational, capitalistic (financial) and emotional. The emotional dimension is very important as either the founding partners were best friends before they created their start-up, or they will become best friends afterwards. Sometimes, a family dimension needs to be taken into account, complicating even more how the company operates. You won’t understand how the company operates by just reading the organization chart. All in all, founding partners in start-ups are highly committed teams. Besides cash issues, partner conflict is the main reason for the collapse of a start-up. In addition, getting rid of a founding partner can be very complicated. So, you need to build a solid relationship with your partners. Founding partners are like partners in life: the relationship needs to be nurtured and fulfilling. As with your partner in life, you will encounter issues and you need to proactively work on your relationship so that it doesn’t end up in a divorce. - Misunderstandings due to cultural or background differences. Just for a second, try to imagine a partner team composed of a serial entrepreneur, a seasoned corporate executive and an academic. These 3 people have completely different mindsets and operating modes. Their relationship with time and money is very different, as is their capacity to take risks. All of this can lead to misunderstandings that can degenerate. - A sentiment of inequality regarding the time or energy invested by each founder, which could lead to feelings of injustice, as well as bitterness and resentment. Imagine that one founder is like Steve Jobs, the other one just wants a solid safe business while the third one wants to get rich quickly and sell out for some cash! If the founders have different life objectives, they will struggle to share the same vision for their company. - Make sure that you tell your partners what you like/don’t like in the early days. Often, to avoid conflict, you won’t say anything, but this avoidance approach is the worst option. If there is something that you are not happy about, it’s better to say so immediately in a well-meaning and positive way. Critical feedback is constructive and can be perceived as a positive way of helping your partner move forward and not as personal criticism. 80% of the conflicts that I have witnessed could have been avoided if positive feedback had been communicated earlier. - Create some daily rituals: Founding partners are often monopolized by everyday routine and never take 5 minutes to ask each other how they are doing. For example, you could spend ½ hour in the same coffee shop every Monday morning to chat about anything except work. This is a great way to build bonds with each other. - Find the right balance between well-meaning and demanding: being too well-meaning leads to complacency, while being too demanding can be perceived as persecution. The more caring you are, the more demanding you can be with your partner in a healthy way. - Freeze time can be a good thing: you might have agreed on the long-term vision or the exit strategy at the time you founded your start-up, but perhaps today you have changed your mind. If the founders are not aligned with each other’s vision, one of them may have to leave. If the partners are no longer on the same page, your investors or even your clients will notice it, and this can be a disaster. - Another issue can be solved by being well-meaning: change of position. The CEO does not necessarily have to be the partner with the highest share capital. This is ideal but not always the case. The founder may have found the original idea, but he might not have the right management skill set. He needs to recognize that he is not necessarily the best manager. Questions of power, capital sharing and the right role for each partner are critical. Q / What are your views on the link between the founders’ role and their capital share? There is no solution that systematically works. The solution doesn’t lie in a process but in the attitude of each partner and their ability to be humble and to take a step back. As a coach, I try to help them to distance themselves. You have to be soft with people and hard with issues. Q / When there are two founders, they are in control, but this becomes complicated when the company changes dimension: what is the solution? When you grow from 10 to 50, you might continue operating in the same way, but when you reach 100, this won’t work anymore. In the early stages, founders recruit juniors because they are cheaper and more flexible. But, with no intermediary managers, the situation soon becomes impossible for the founding partners. It is tiring for them and demotivating for the employees. When your start-up grows, you have to recruit middle management: this could be an internal resource or an outsider. Q/ What culture should I give to my company and how should I organize the early days? It is important at the beginning to define the culture and the values of your company. This is what reflects your company’s personality and attractiveness. I am convinced that friendship is a key factor of success. The only problem that I can see is that it can reinforce the avoidance issue and it can also keep you distanced from the rest of the employees/team. Q / Is it risky to partner with a complete stranger? Yes. Just as risky as marrying a stranger! Q/ What is the best way to properly distribute the shares of capital between two partners? 50 / 50 is the worst-case scenario because if you disagree, the situation will be blocked. You need a decision maker. Q / Is there a correlation between the number of shares and the CEO? First, you have to make sure that you have the right CEO. All scenarios are possible: if the CEO has a higher or equal number of shares, it should work well. If he holds less shares, this can be complicated. Do not miss our next events! Join our meetup group (2 minutes' registration) !